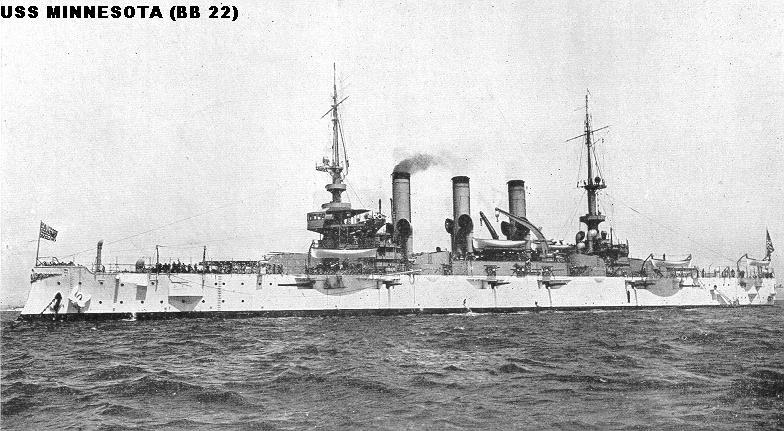 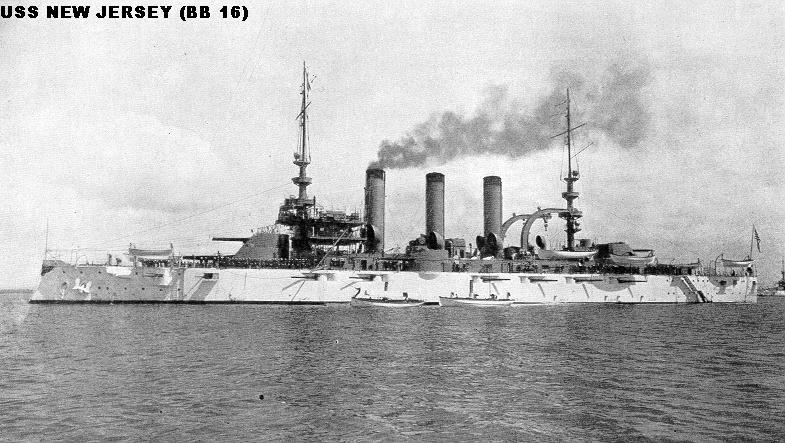 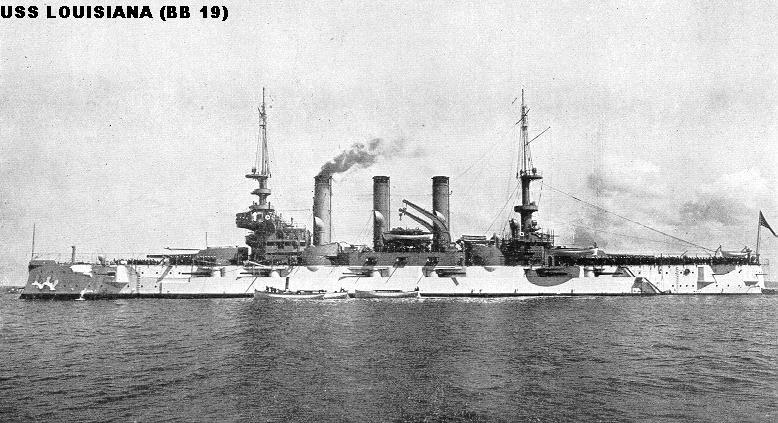 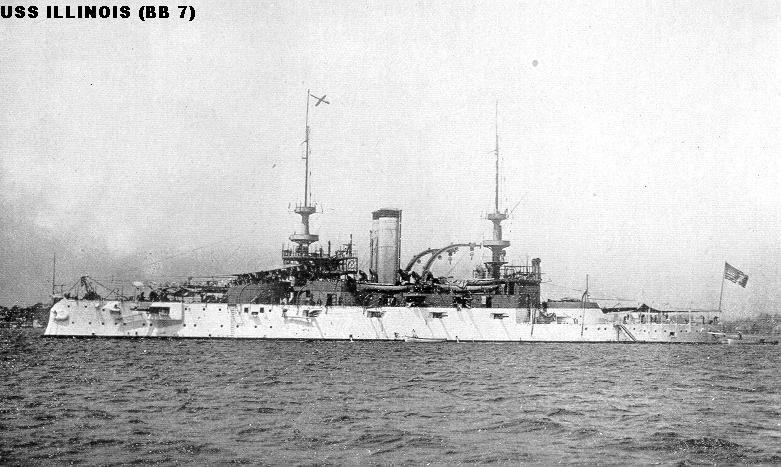 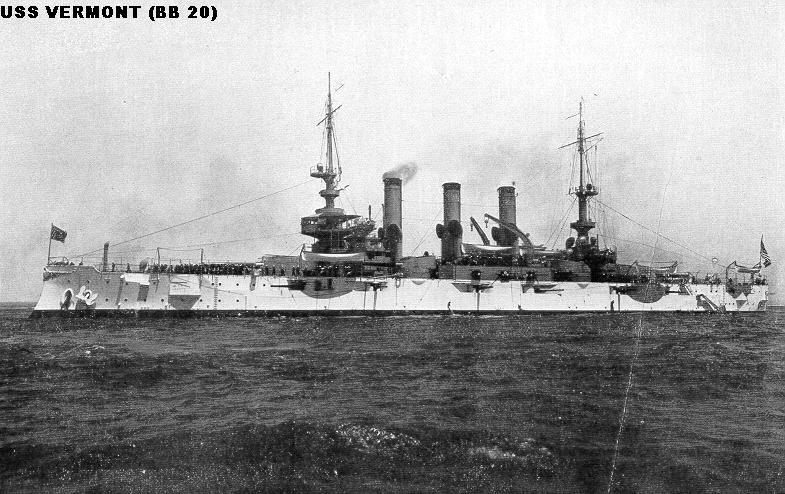 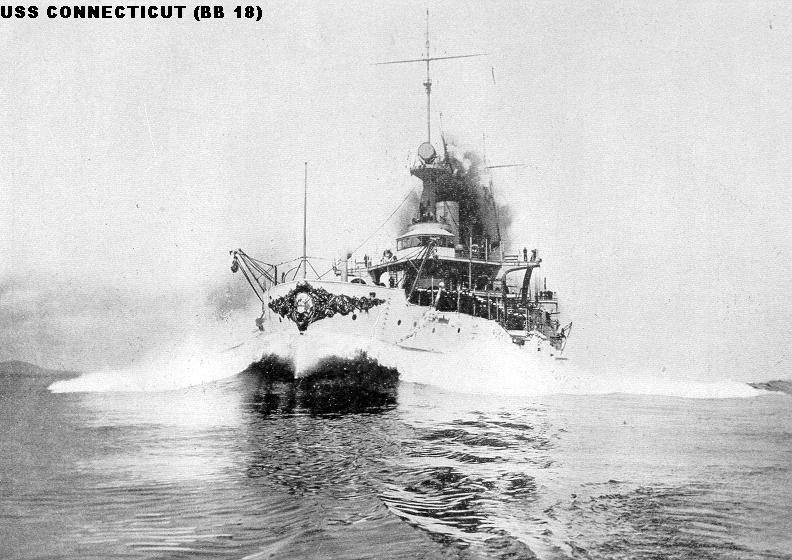 The battleships assigned to the Great White Fleet represented the bulk of the US battlefleet. 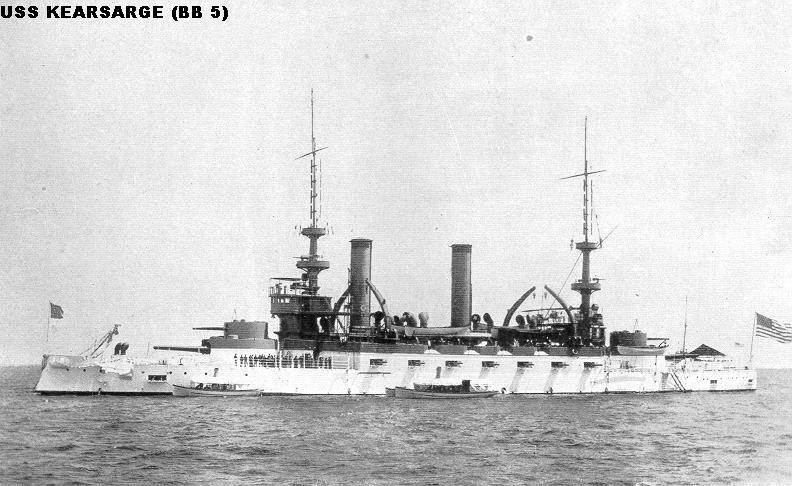 The only battleships that did not sail with the Fleet were one ship that was in overhaul, one newly competed ship not yet ready for deployment (both of these ships later joined the Fleet), and four obsolete, unseaworthy coast defense battleships. 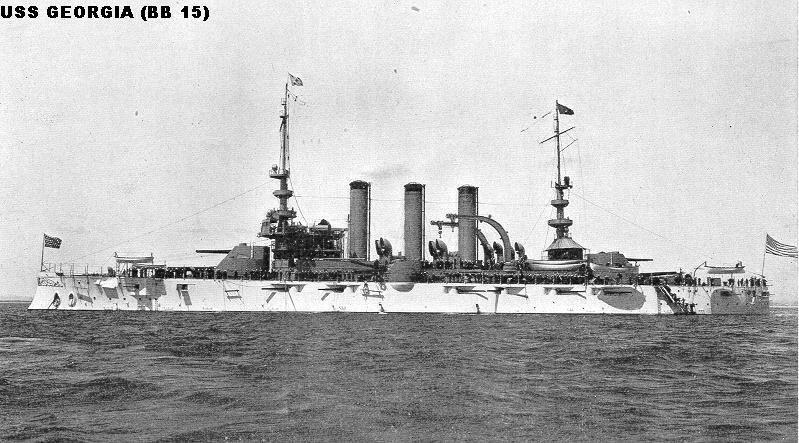 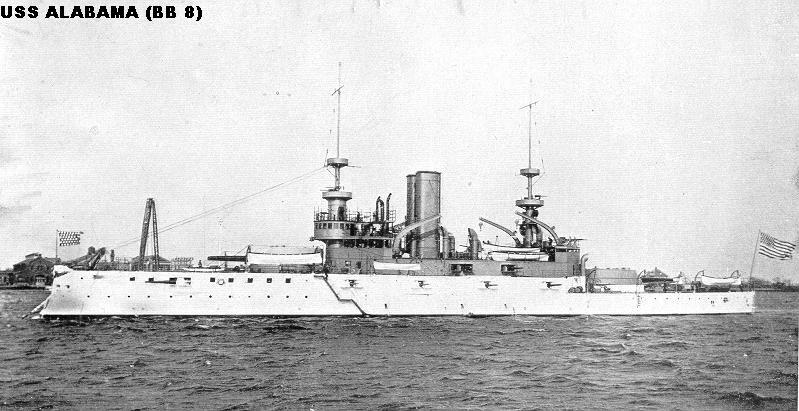 The 16 battleships of the Great White Fleet were organized into four Divisions of four ships each. 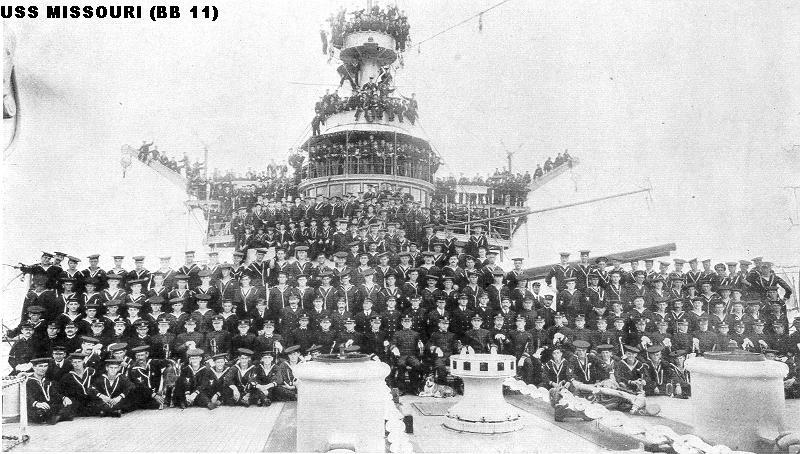 They are listed below in Division order as they started the cruise. 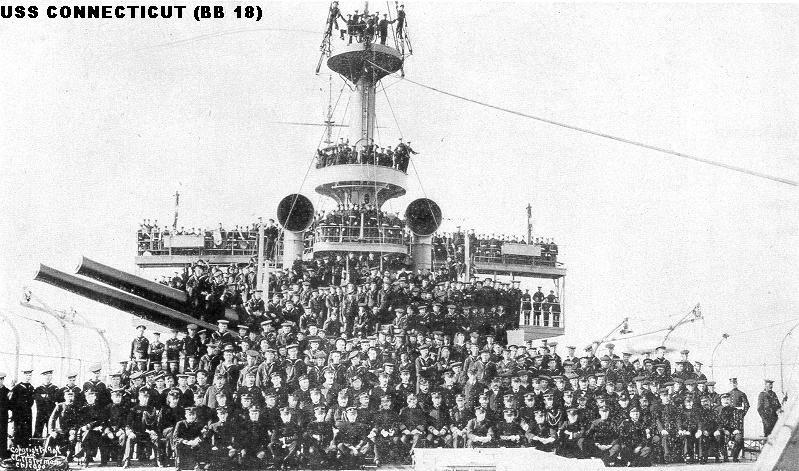 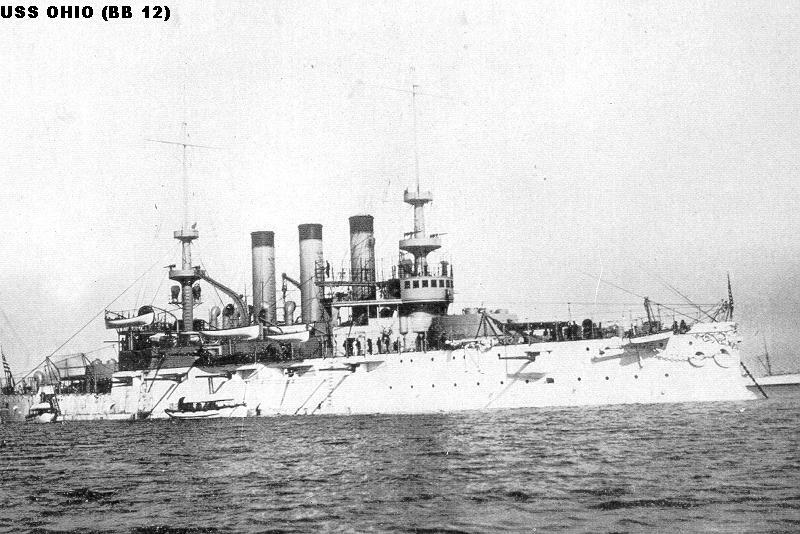 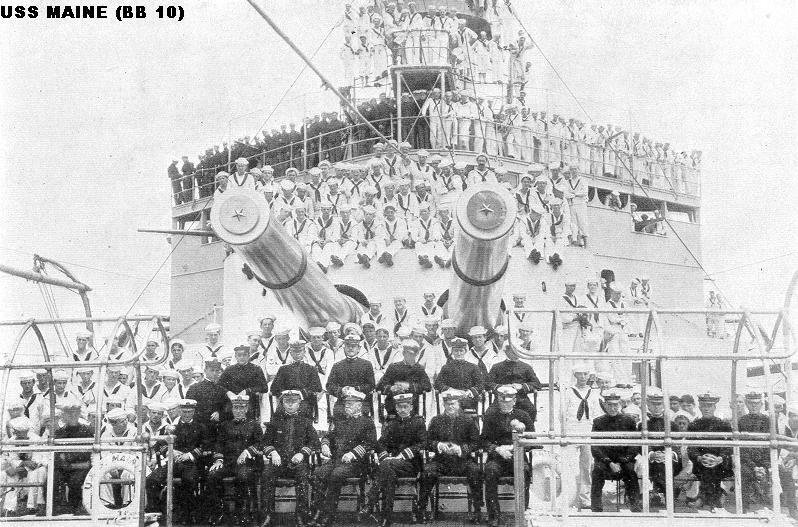 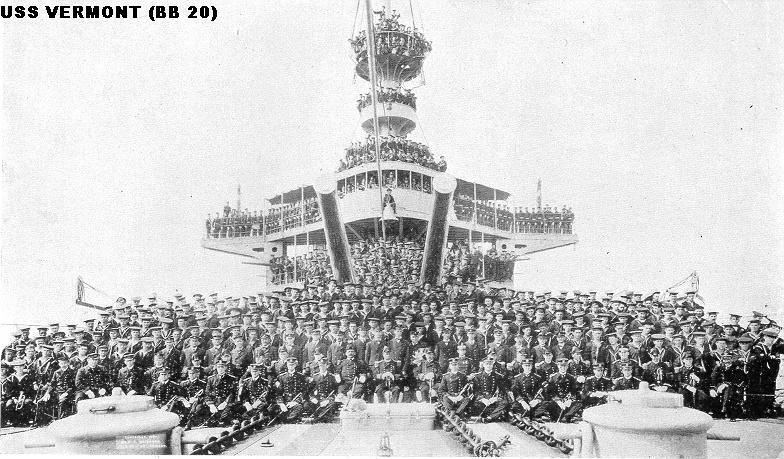 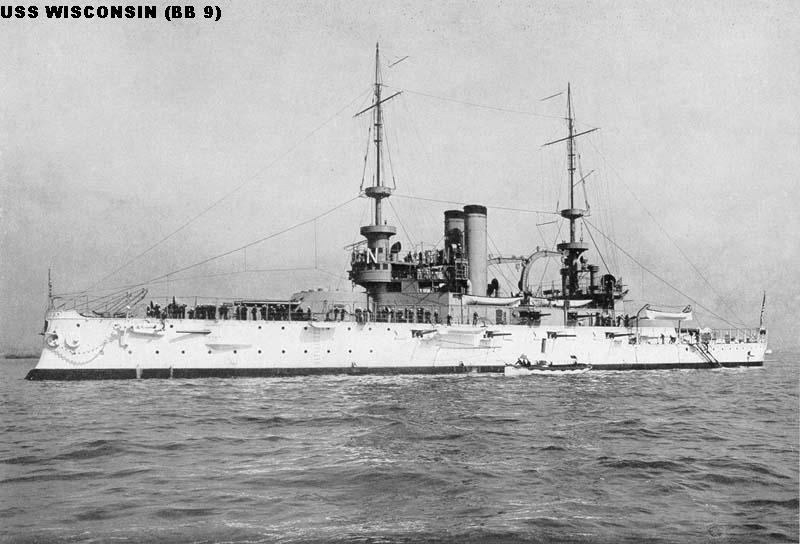 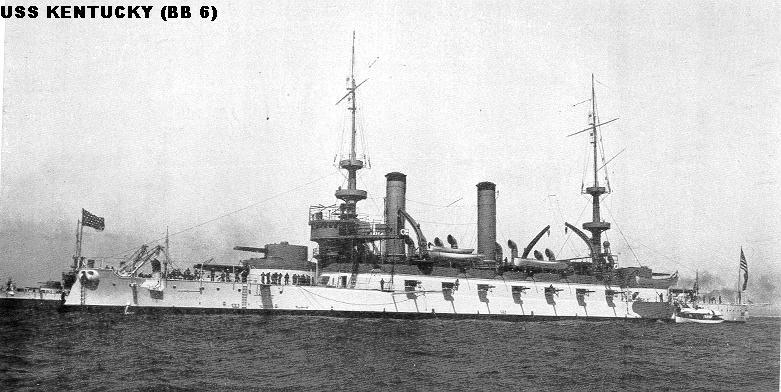 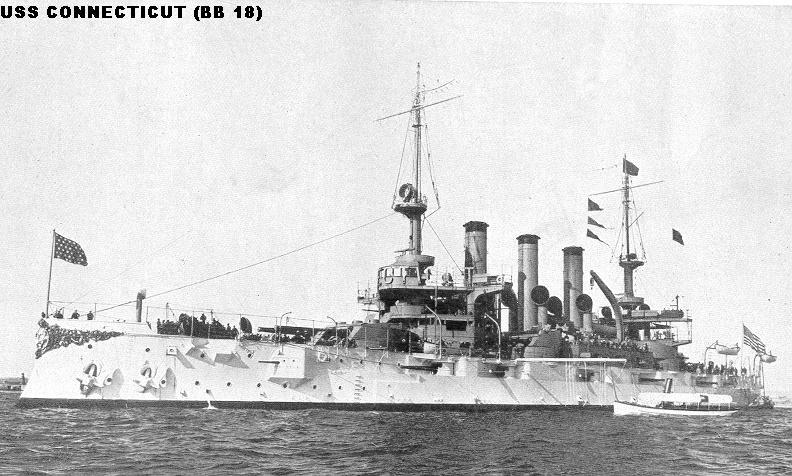 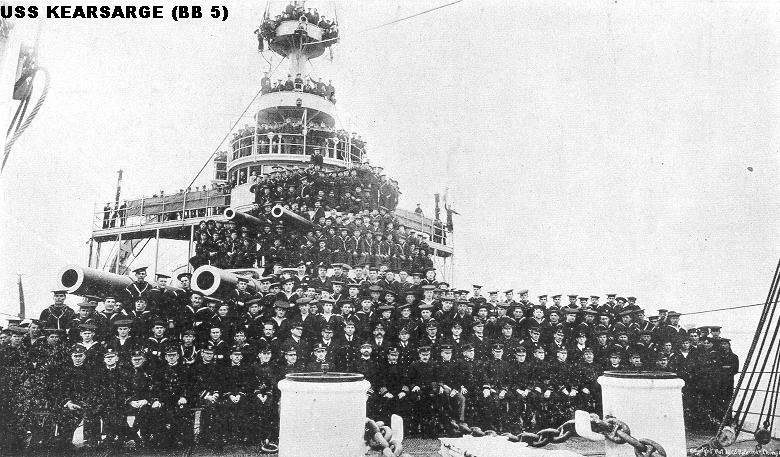 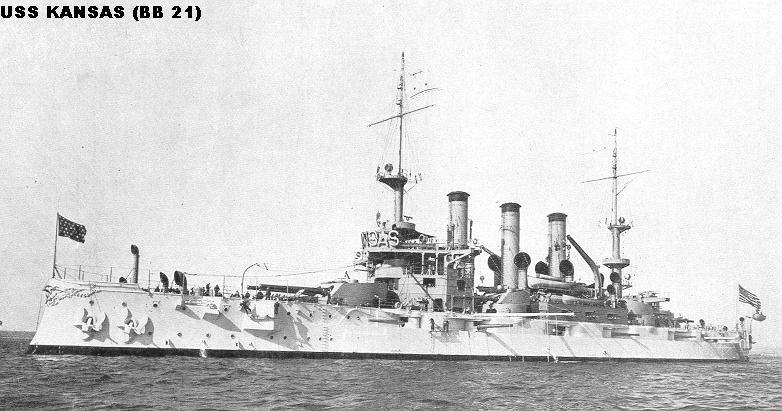 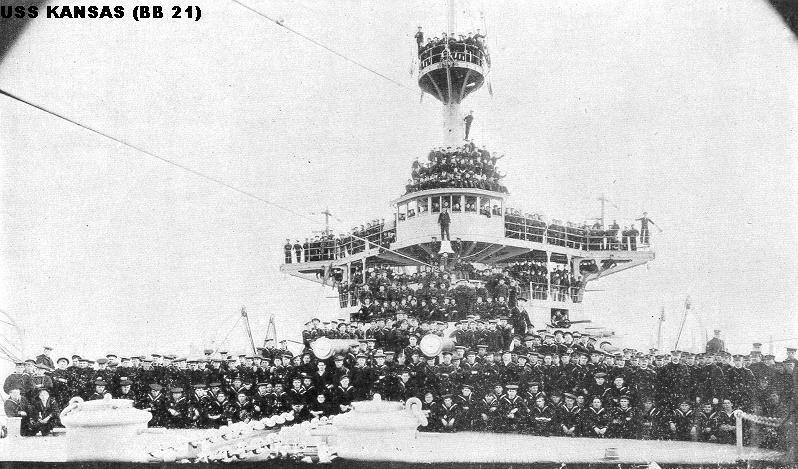 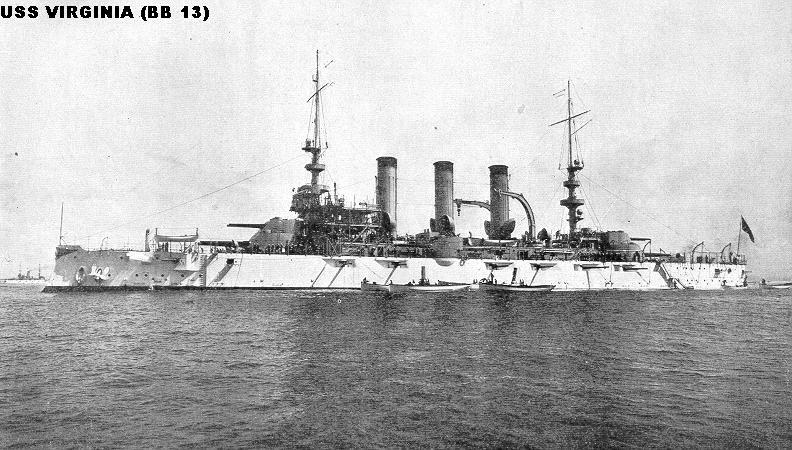 Early in 1908, when the Fleet reached California, the battleship Divisions were reorganized. 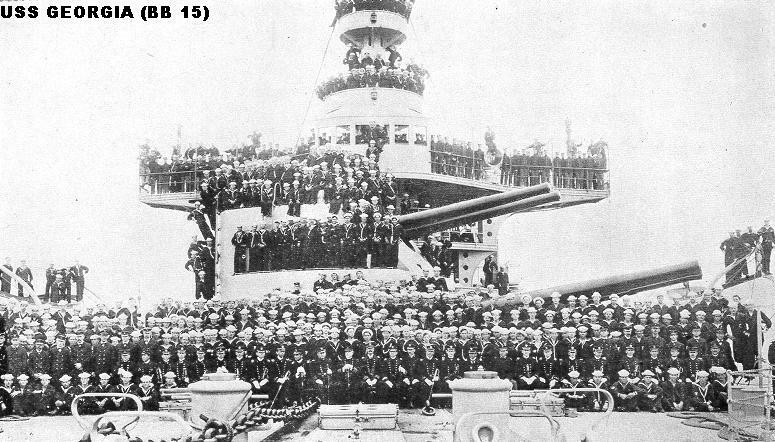 The two battleships which had not been with the Fleet previously now joined, bringing the force up to 18 battleships for a short time. 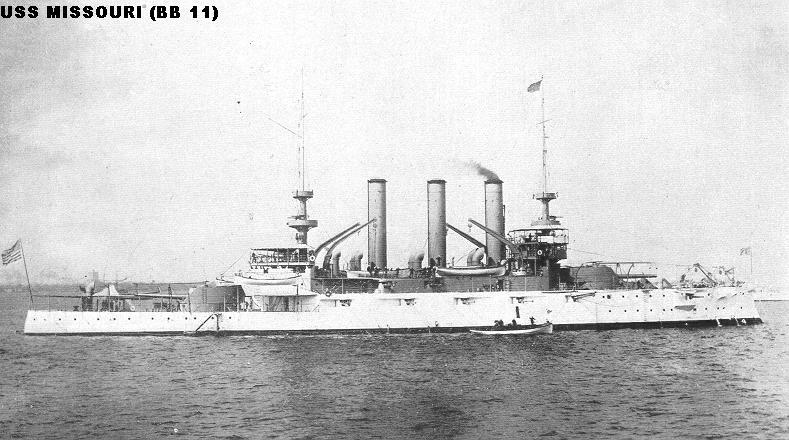 However, over the President's objections, two troublesome ships were detached, leaving the Fleet at 16 ships. 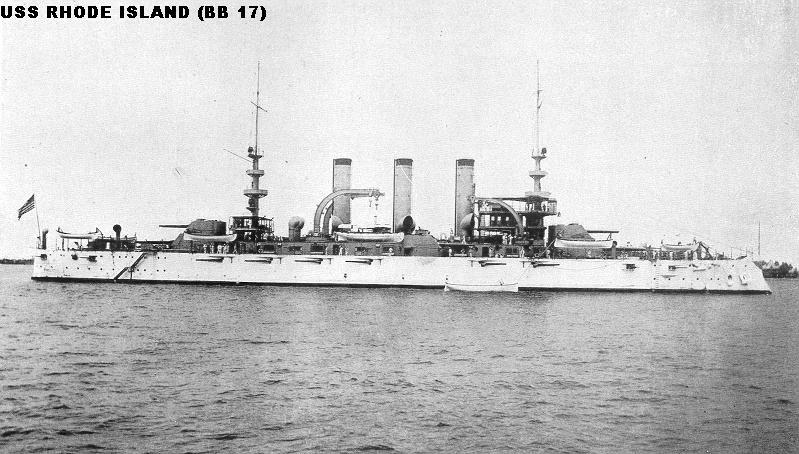 It had been hoped to add two newly completed ships to the Fleet at this point, but the new vessels proved to be unsatisfactory, and were sold out of the US Navy after very short careers. 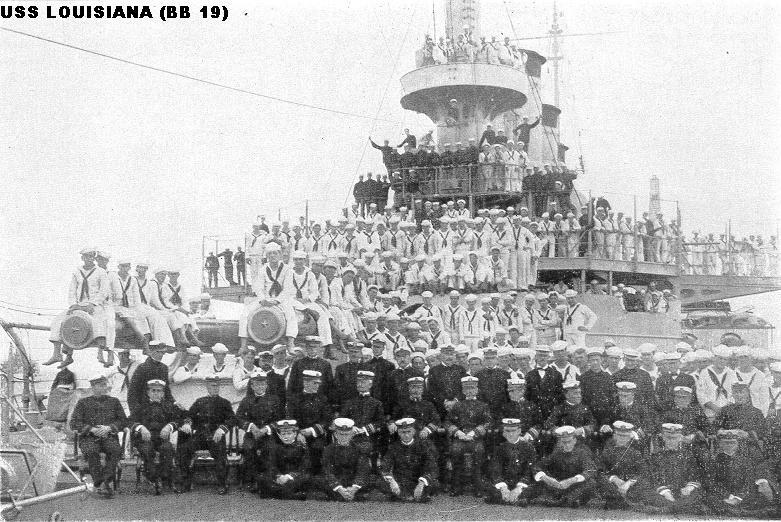 Also at this time the order of the ships was shuffled, bringing the best-looking ships to the front of the fleet. 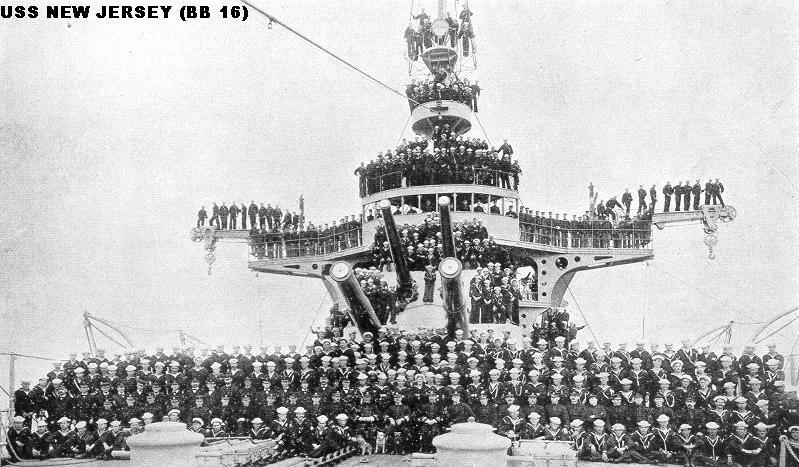 All the division/position changes listed below took place at this time. 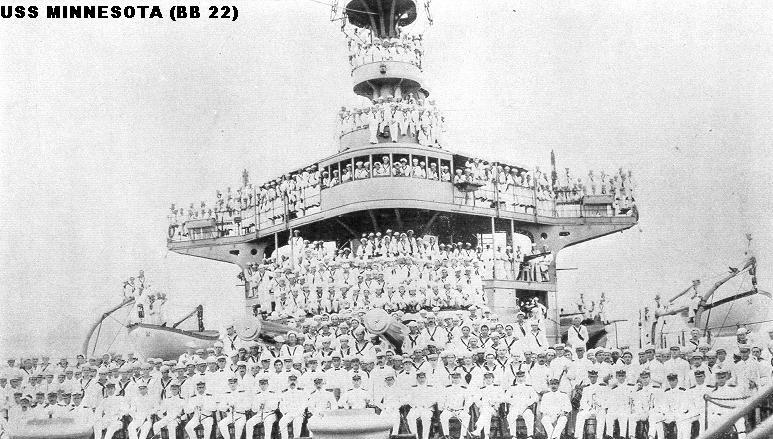 All of these ships were taken out of service in 1921-1923 and were disposed of in accordance with the terms of the Washington Treaty. 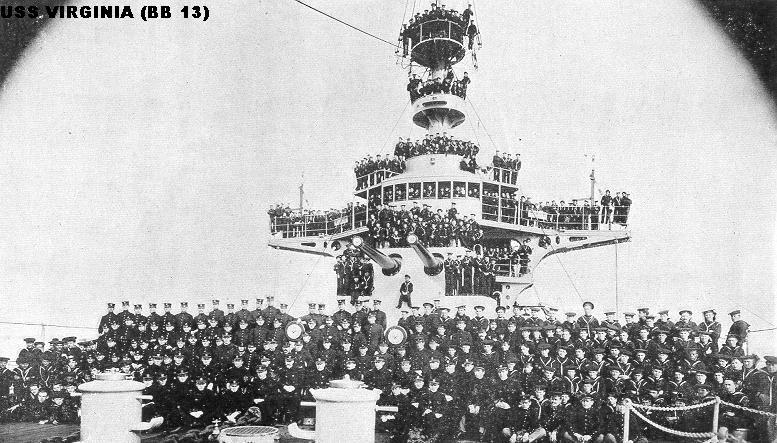 Relieved by Virgnia and detached from the Fleet in 1908. 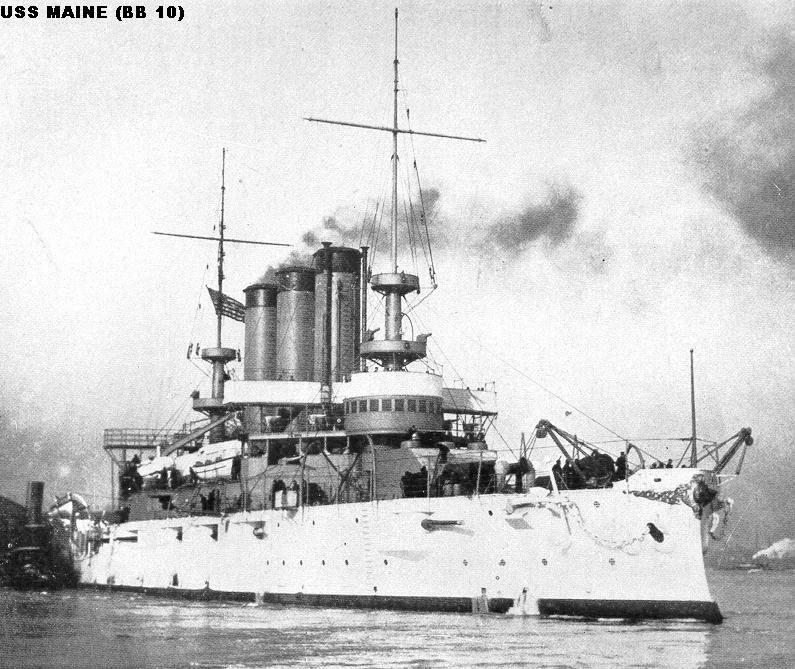 She burned coal at an excessive rate, smoked badly, and could not keep up with the Fleet.